GardeniaEvergreen shrub. Moderate growth. Rounded form. Dark green glossy leaves. Prolific bloomer w..
GardeniaEvergreen shrub. Pruned into a single trunk tree. Moderate growth. Rounded form. Dark green ..
GardeniaEvergreen shrub. Slow growth. The hardiest of the Gardenias in a versatile, dwarf size. Grea..
GardeniaEvergreen shrub. Dwarf compact habit. Glossy green leaves. 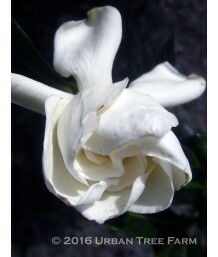 Blooms fragrant white flowers in ..
GardeniaEvergreen shrub. Moderate growth rate. Rangy, somewhat vase-shaped form. Large multi-petaled..
GardeniaEvergreen shrub. Pruned into a single trunk tree. Moderate growth rate. Rangy, somewhat vase..
GardeniaEvergreen shrub. Slow growing. Low growing, spreading form. 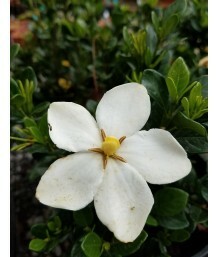 Small double-white flowers have ..
GardeniaEvergreen shrub. Trained to grow on a trellis. Compact habit with dark green small leaves. P.. Silk TasselEvergreen shrub. Moderate growth. Dense habit. Elliptically shaped leathery leaves with s.. Silk TasselEvergreen shrub. Fast growth. California native. Dark gray green leaves are similar to th.. Creeping WintergreenEvergreen shrub. Dense, creeping groundcover spreading by underground stems. Eve..
Salal/Lemon LeafEvergreen shrub. California native. Leaves are broadly oval, up to 4 inches long, an..
GrevilleaEvergreen shrub. Moderate growth rate. Wide spreading, arching branches. 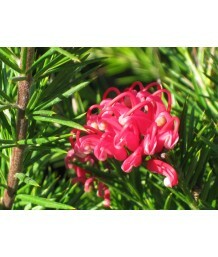 Bright green needl..
Grevillea HybridEvergreen shrub. Spreading habit. Finely cut, stiff, green foliage with red and yell..
GrevilleaEvergreen shrub. Moderate growth rate. Dense arching branches. Wide spreading. Bright green..
Grevillea HybridEvergreen shrub. Dense, spreading habit of deeply dissected, bright green foliage wi.. 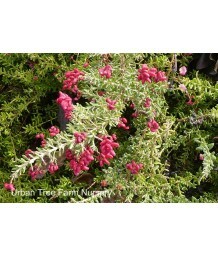 Dwarf GrevilleaEvergreen shrub. Dense, spreading habit. Medium green lanceolate leaves with round cl..
GrevilleaEvergreen shrub. Medium sized, dense habit. Bronze-green, needle-like leaves. Curved, pale ..
GrevilleaEvergreen shrub. Moderate growth rate. Dense arching branches. Wide spreading. 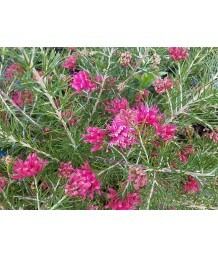 Thick bright..
GrevilleaEvergreen shrub. Moderate growth rate. Dense arching branches. Wide spreading. Pointed, dar..
GrevilleaEvergreen shrub. Dense rounded habit. Narrow, dark green leaves on arching stems. Red and p..
Wooly GrevilleaEvergreen shrub. Spreading mounding growth. 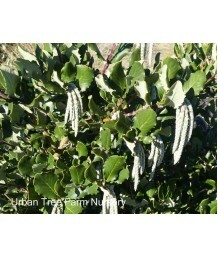 Small closely set leaves are covered with..
Wooly GrevilleaEvergreen shrub/groundcover. Low spreading habit. Crowded narrow grayish-green leaves..
GrevilleaEvergreen shrub. Moderate growth rate. Dense arching branches. Wide spreading. Bronze-green..
Wooly GrevilleaEvergreen shrub. Low spreading habit. 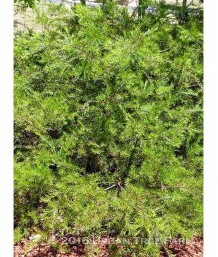 Furry green leaves are closely held on low stem..
Rosemary GrevilleaEvergreen shrub. Moderate growth rate. Mounded form. Narrow dark green foliage, si..
Drawrf Rosemary GrevilleaEvergreen shrub. Mounding compact form. Green soft-textured needle-like lea..
GrevilleaEvergreen shrub. Moderate to fast growth rate. Soft textured, lance-shaped olive green leav.. Lavender StarflowerEvergreen shrub. Fast growing with dark green, finely toothed leaves. Lavender-pi.. Lavender StarflowerEvergreen shrub. Trained to grow along a stake in the center of the container. Fa..